If you are looking to purchase a home in a rural area, and can't get a traditional mortgage, Artisan Mortgage is pleased to offer a USDA loan in New York & Pennsylvania, great zero-down-payment program not limited to first time homebuyers with low to moderate income, sponsored by the USDA (United States Department of Agriculture). The USDA Rural Development Home Loan Program in New York & Pennsylvania allows borrowers to finance up to 100% of the value of the home and no down payment is required. In order to be eligible for the USDA loan program in New York & Pennsylvania the property must be a residential home, eligible condominium or planned unit developments (PUD), located in a rural and suburban area, designated by U.S. Department of Agriculture. To learn more about the Rural Development Guaranteed Housing Loan Program eligibility, rates & requirements in 2019 fill out form on this page, call our knowledgeable loan officer at 1-800-499-0141 or prequalify for a home loan today. What are the Eligibility Requirements for a USDA loan in New York & Pennsylvania? The USDA loan insures mortgages made by banks under this program. Similar to the VA loan, there is an upfront guarantee fee which is typically 2% but this program also carries an annual fee of 0.4%. It's similar to mortgage insurance but termed as a guarantee fee. On December 1, 2014, United States Department of Agriculture set a minimum credit score for this program at 640. Before the change, it could be approved with scores of 620. You will need to fully document your income. At Artisan, we understand that a "one size fits all' approach to residential lending just doesn’t work. We actually employ real people to make loan decisions and customize financing to suit your financial needs. We offer fixed and adjustable rate financing at competitive rates and flexible terms. Does my Area Qualify for a NY & PA USDA loan? If you are located in an area designated by the USDA across New York and Pennsylvania you may be eligible for this loan. Certainly, other qualifying aspects will come into play such as credit and income but it is a great loan option for those who fit the product. But the unique aspect of Artisan is that we can better qualify you for one of our loan products based on our flexible qualification process. We’ve designed loan programs which encompass the life cycle situations that borrowers typically fall into. Browsing through this web site is a good first step in your mortgage educational process. Everyone at Artisan Mortgage is very knowledgeable and friendly. I look forward to doing business and would recommend my friends and family to Artisan for their mortgages! Questions about USDA loans in New York and Pennsylvania? Artisan Mortgage's competitive rates could potentially lead to great savings for you over the length of your loan. Whether you're looking for a 30-year fixed-rate loan or a 5-year adjustable-rate mortgage, we may be able to help you. Our mission is to understand your financial needs and goals, and work directly with you to help you make the most of your personal opportunities. Applying is easy, and you’ll get your answer fast. 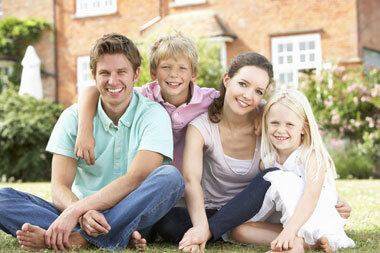 Our experienced and knowledgeable loan officers enjoy helping you through the purchase process. If you don't have all the information at your fingertips - don't worry, just enter what you know. The remainder of the information can be collected at a later date. If you don't have time to call at the moment use the short form at the right to request a Personalized Mortgage Quote, or begin the prequalification process online. To learn more about USDA loan income limits, rates, eligibility in New York & Pennsylvania 2019 including Long Island, Nassau and Suffolk County, NY for low income, poor credit first time homebuyers, and borrowers that can’t get a traditional mortgage, call us today at (800) 499-0141 or please visit the United States Department of Agriculture (USDA) official website.